“Market” is a new premium theme from Andrew of Astereostudio.com, which allows you to use your blog as an online store or marketplace. View the live demo here. 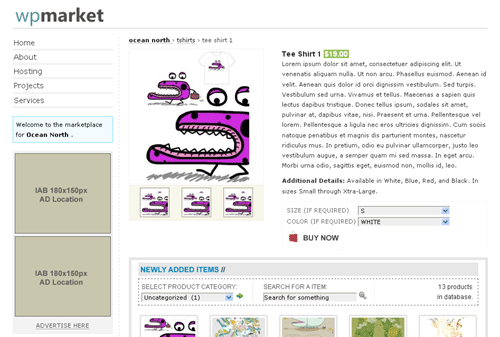 Via custom fields, you can enter a description, 1 large image with 3 smaller images, a price, and other information for each product or item. It also allows people to pay you through PayPal. Market is actually very easy to install. I have a copy of it installed offline (on my computer). 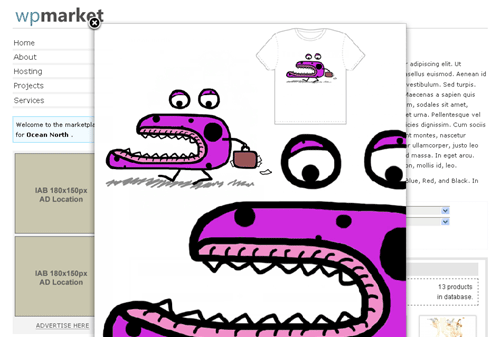 It took me less than five minutes to add the first product to the offline test blog. If you haven’t had any experience with using custom fields, which is easy, it might take you ten minutes to read the instructions and to add the first product. 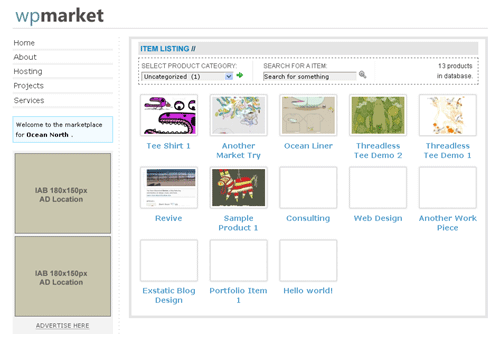 I’m impressed by how close Market’s layout is to the 17 New Rules for Successful E-commerce Websites. Thanks to the function over form approach, Market is also easy for customers to use. Everything is clearly laid out and you’re not overwhelmed by all of the information for each product. This is the first version of Market so of course there’s room for improvement, but the following suggestions are more like bonuses. The single product page doesn’t have a direct page edit link for administrators. Although this theme is easy to install, I’d like to see extended instructions on how to upload images and how to grab the image locations added to the readme file. And if possible, don’t make this theme duplicate the smaller thumbnails in case the administrator uploaded only one small image. Market costs only $40 and you can use it on multiple websites. Besides my suggestions above, I’m thoroughly impressed by Market. It’s compact, easy to install, and easy to use. I think it’s safe to say that premium is not just a marketing term for this theme.